Plastic Binding Combs are available in numerous colors and sizes to meet your binding presentation needs. Our high quality binding combs are compatible with the most popular comb binding machines including those manufactured by GBC, Fellowes, DFG, Akiles, Rhin-o-Tuff, Sircle and others. With plastic comb binding pages can easily be added to or taken out of your documents, proposals or presentations. Binding combs come in a vast array of colors and sizes to match your binding presentation needs. To further enhance your presentation needs we offer custom imprinting on binding combs at an affordable price. Custom size binding combs for larger documents is also available. Being one of the largest suppliers of comb binding spines allows us to offer you the best pricing available online. Take Advantage of Our Low Price Guaranty and Order your Plastic Binding Combs Online or Call Today! Spiral Coil Binding Supplies are available in numerous different colors and sizes to make your presentations stand out. Our high quality plastic coil elements are compatible with all plastic coil binding machines including GBC, Fellowes, DFG, Rhin-o-Tuff, Sircle, Akiles and others. Plastic coil binding allow for easier reading as your books, reports and presentations will lay flat. A perfect binding solution for the office, school and government markets. As a leading online supplier of plastic coil binding supplies we can offer you the lowest prices on quality spiral coil elements. Take Advantage of Our Low Price Guaranty and Order your Spiral Plastic Coil Binding Supplies Online or Call Today! Wire Binding Supplies are compatible with all wire binding machines manufactured by GBC, Fellowes, Sircle, Rhin-o-Tuff, DFG, Akiles and others. Wire binding elements are available in 3:1 pitch for smaller presentations and 2:1 pitch for larger documents. The twin loop wire binding element gives your presentation a more elegant professional look making it the binding choice for businesses looking to get a leg up on their competition. Wire binding elements come in numerous colors and sizes to meet whatever binding needs you may have. With the large amount wire binding supplies that we sell we are able to offer you the most competitive pricing online. Take Advantage of Our Low Price Guaranty and Order your Wire Binding Supplies Online or Call Today! Spiral O 19 Ring Wire is compatible with your plastic comb binding equipment whether it be a model from GBC, Fellowes, Akiles, DFG, Sircle and others as it utilizes the rectangular 19 hole punch pattern. Spiral O wire binding elements are able to bind books up to 210 sheets of 20# paper on a 1 inch Spiral O element. We offer wire closing machines to assist you in closing the wire element to bind your presentation. Spiral O Twin Loop Wire is available in numerous colors and sizes to match any presentation project you wish to create. Spiral Binding creates documents that lay flat opened or closed. Take Advantage of Our Low Price Guaranty and Order your Spiral O 19 ring Wire Binding Supplies Online or Call Today! Now available in spools, twin loop wire is designed to work in all automatic spool wire machines. Offered in both 3:1 and 2:1 pitches, spool wire offers you the flexibility in customizing the length of the wire. With the same characteristics as our pre-cut wire binding elements, documents bound with twin loop spool wire lay flat and wrap around for easier reading. Documents are securely bound so pages will not fall out. 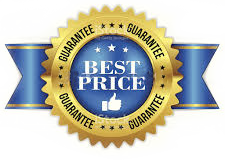 Take Advantage of Our Low Price Guaranty and Order your Wire Spool Binding Supplies Online or Call Today! Create your own custom calendars and other hanging documents with our selection of wire calendar hangers. Eliminate the need for expensive outsourcing by doing calendars and other bound documents that you want to display in-house. We offer a large selection of wire calendar hangers ranging in sizes from 4 inches to 16 inches. Our wire calendar hangers are available in both black and white colors to enhance your calendar presentations. Take Advantage of Our Low Price Guaranty and Order your Wire Calendar Hangers Online or Call Today! GBC ProClick Binding Supplies come in individual boxes of 100 for use with the GBC ProClick Ultra Compact Punch., the GBC P110 ProClick Binding Machine or the GBC ProClick P210E Electric Punch Binding machine. For the larger GBC ProClick Pronto P2000 and P3000 automatic binding machine models the ProClick supplies cone in spine cassettes. The GBC ProClick binding spines allow for one of the easiest most professional looking binding presentation solutions on the market today. Take Advantage of Our Low Price Guaranty and Order your GBC ProClick Binding Supplies or Binding Cassettes Online or Call Today! We offer velobind binding strips in 11 prong and 4 prong types. The 11 prong velobind strips are compatible with the GBC V800 Pro Binding Machine, the GBC VeloBind System II and GBC VeloBind System III as well as the SecureBind V2000 Hot Knife Binding Machine. The 4 prong velobind strips are compatible with the GBC V110 Electric Punch VeloBind Machine ONLY! The AccuBind Tape Binding Strips are compatible with the AccuBind Tape Binding Machine only. They come in a vast array of sizes and colors and are offered at a very affordable cost. AccuBind Tape Supplies must be ordered in quantities of 3 or more!